This title sounds like the next horror story. And by the looks of this closet, it may very well be! And it’s starring me as the villainess, and Mr. as the accomplice by association! Due to the fact that he lives with me and puts stuff in the closet because that’s where I tell him to stick the stuff! That closet has become the daddy of all catch-all closets! Things go in and they never come out! 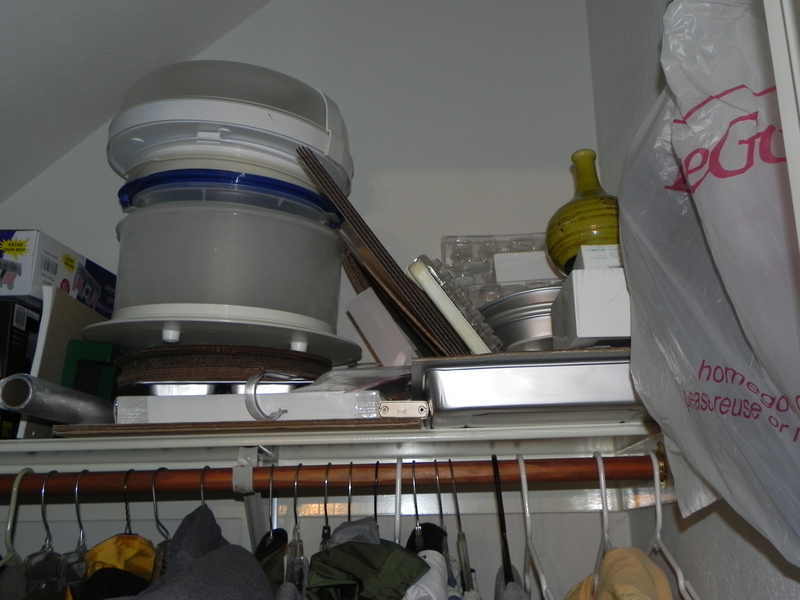 In the words of our daughter, “that closet has a lot going on”! 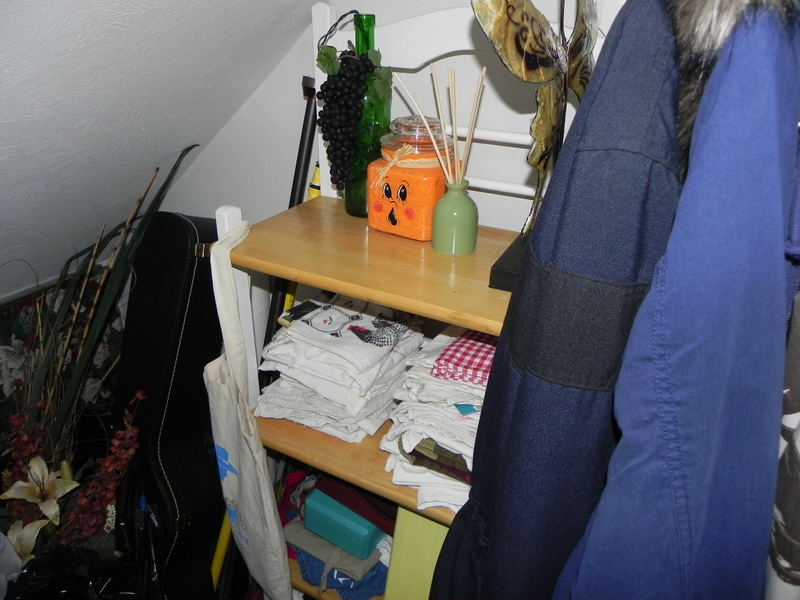 But very soon, this closet will become the new “Under the Staircase Storage Room”! But for now, no judging me for what lies behind the door of “The Closet Under the Staircase”! It’s in the dining room, which is just to the right of the front door. It’s the only closet in the house that isn’t in a bedroom, bathroom, etc. So of course, it collects everything that doesn’t belong elsewhere and then some. 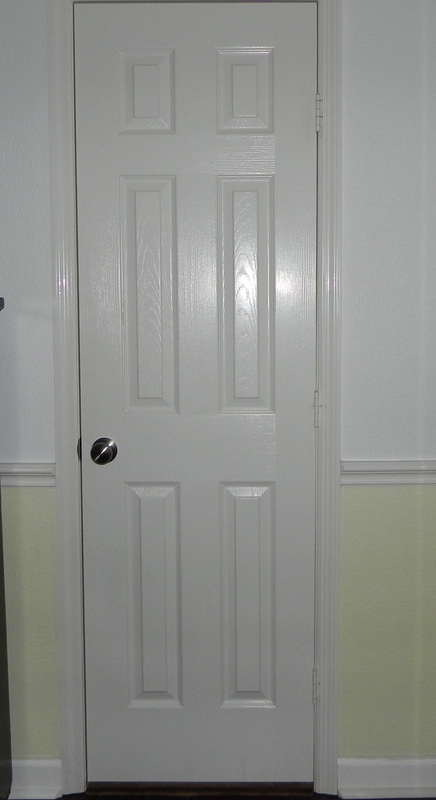 It’s a big coat closet, but who needs a big COAT closet in Houston?!?! We don’t! In fact, we took about 10 coats and jackets to my mom’s in Oklahoma last month that Mr. and I don’t wear anymore and she gave them away. And we still have more than we need! Then there’s my collection of plastic bags. I think I have more than enough, don’t you? 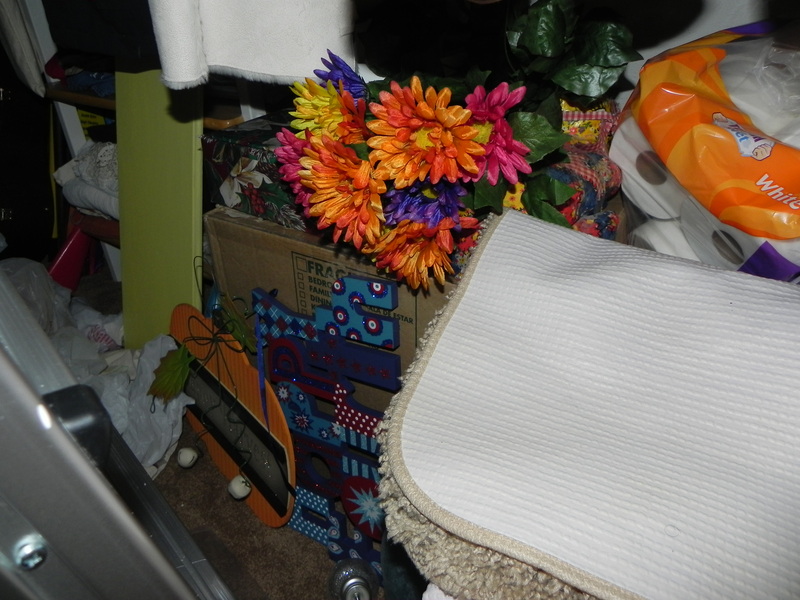 There’s also a bag of artificial flowers that I haven’t used since we moved into the house two years ago; a tin can on top of something that I can’t reach; and a box of cupcake boxes covered in wrapping paper! I’m pretty sure a coat closet is the best place for a baker’s rack! No? You mean you don’t keep a baker’s rack in your coat closet! 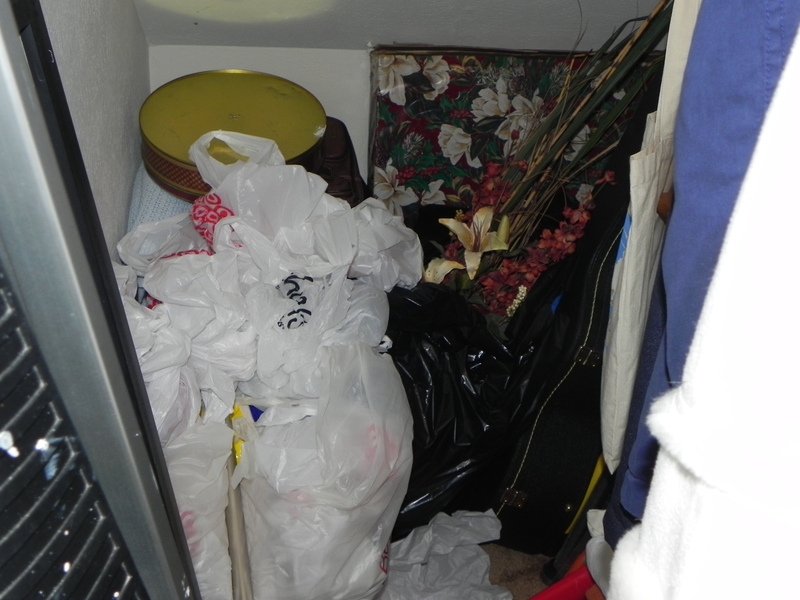 More flowers, holiday signs, miscellaneous mats/rugs that are no longer being used, and paper towels have found their way into this closet. What you don’t see is several decorative pillows, a couple of curtain rods, an ironing board, two crocheted afghans, a stack of paper sacks, a large sofa picture from our last house, numerous yard sticks (how many yard sticks do Mr. and I need? ), a box of stoneware dishes that I need to find a place for, and two step ladders! That buried box peeking out from under the bright flowers has my grandma’s china in it. I have my red hutch that I redid a couple of years ago in the dining room, and I’m thinking that would be a great place for the china. The only thing missing from these pictures is my vacuum cleaner, which usually sits right in the doorway. It’s hanging out upstairs in the gypsy room (which is in limbo at this moment). So now you know what is lurking inside “The Closet Under the Staircase“. And now you know what I’ll be doing this weekend, so be sure and check back next week to see the progress. Also, my daughter will be doing a guest post very soon that relates to tips for living in small spaces, such as apartments. So watch for that! Y’all have a great weekend! Later gators! 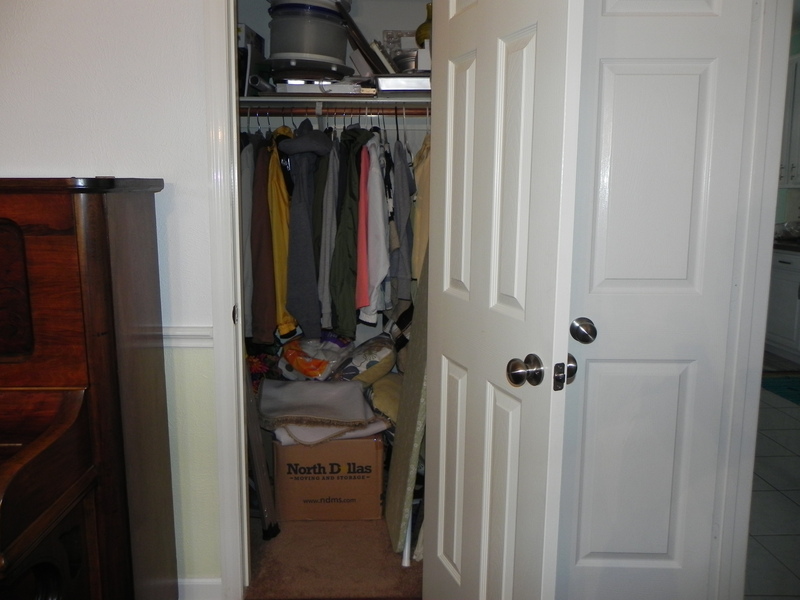 This entry was posted in House and tagged closet, coat closet, home, makeover. Bookmark the permalink. ← The Votes are In! 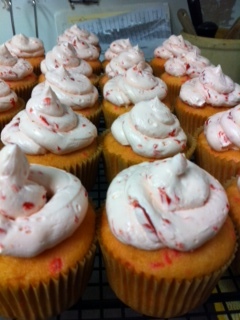 First, the cupcake picture is just mean! Not fair if I can’t eat one. Second, the face on the pumpkin candle says it all…. haha. Can’t wait to see the after pics.